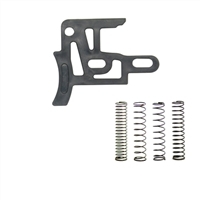 Shop now for Autococker and Pump Gun grip frame parts. Want to build your own custom gun? Have Inception build you a custom gun. Inception manufactures and stocks most parts for Inception and Empire Autococker and Pump Gun grip frames. Replacement parts and Upgrades are available. © Copyright 20165 Inception Designs. All Rights Reserved.